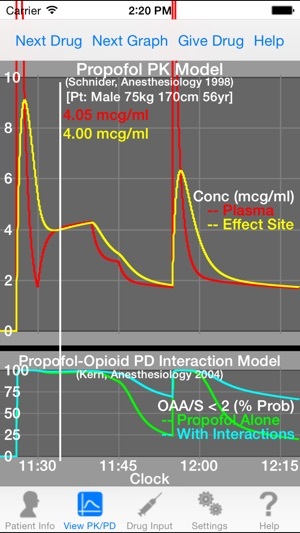 AnestAssist PK/PD is an educational tool used for understanding and visualizing the pharmacokinetics, pharmacodynamics, and interactions of commonly used anesthetic drugs. 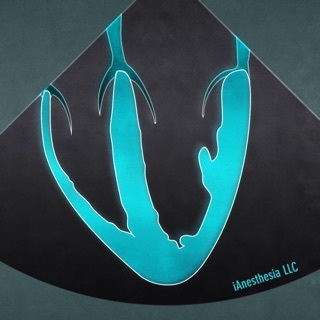 Anesthesiologists, CRNA’s, veterinarians, and other clinicians involved with anesthesiology, from residents to the very experienced, will find AnestAssist a valuable tool for understanding rational dosing strategies tailored to individual patients. 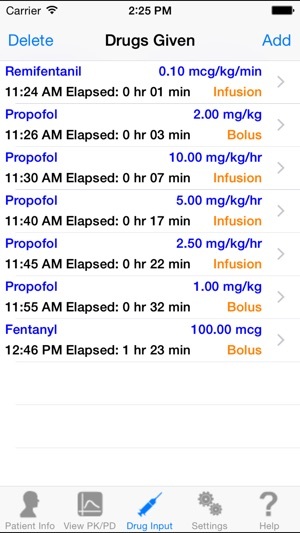 IV drugs included: Propofol, Remifentanil, Fentanyl, Alfentanil, Sufentanil, Dexmedetomidine, Ketamine, Lidocaine, Morphine, Midazolam, Atracurium, Cisatracurium, Rocuronium, and Vecuronium. 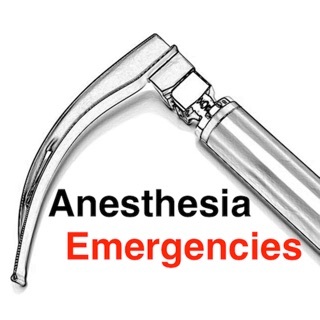 Inhaled agents included: Sevoflurane, Isoflurane, Desflurane, Enflurane, Halothane, and Nitrous Oxide. 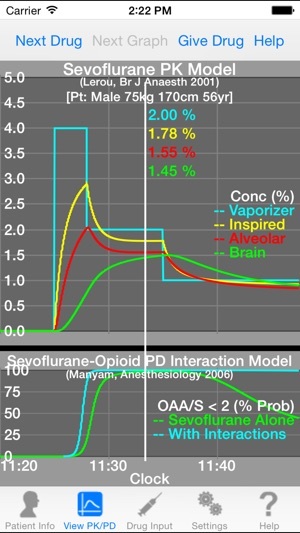 Interactions modeled: Propofol, Sevoflurane, or Isoflurane with any combination of Remifentanil, Fentanyl, Alfentanil, or Sufentanil. 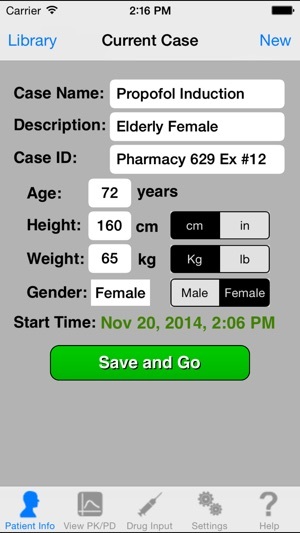 Users can add drugs and PK/PD model parameters to the system in addition to those included above. 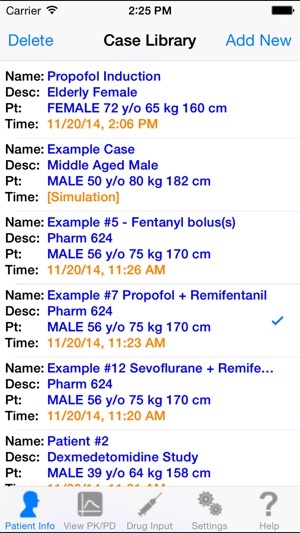 Real-Time Case Capture: Drug entry system facilitates recording drugs administered real-time or retrospectively from intra-operative record. Save to Case Library for later review. 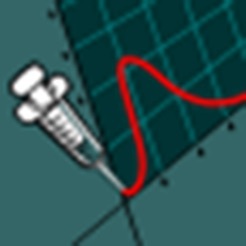 Case Library: Save actual cases or design and add your own cases to the library to record and demonstrate dosing strategies for a variety of patient types and drugs. 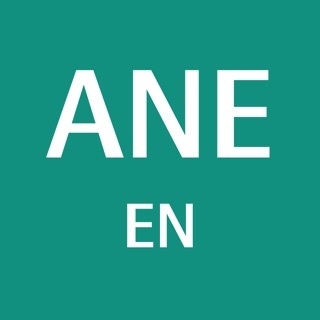 AnestAssist runs an enhanced user interface full screen natively on the iPad and in standard mode on the iPhone/iPod. The core functionality is the same on both. Please see www.palmahealthcare.com for detailed information. Fixed incompatibilities with iOS 8 which caused the app to freeze. Updated the user interface to iOS 7/8 look and feel.